Saturday 24th March 8:00 a.m. - 10:30 a.m.; Player Briefing and Tournament Start: 10:30 a.m.
N.B. 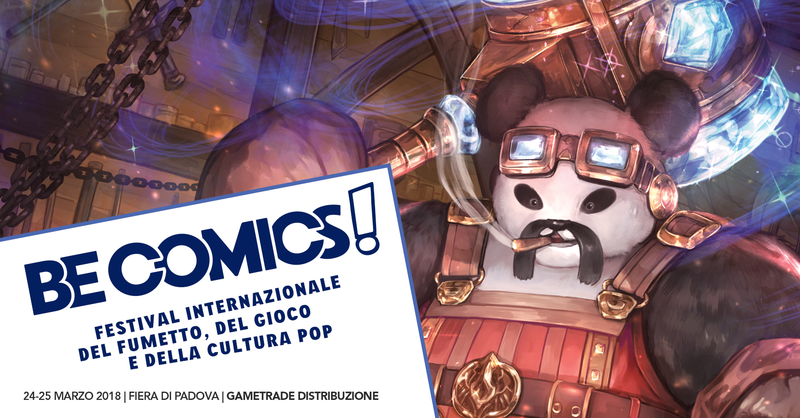 Players participating to the Grand Prix that preregistered within March 22nd, 2018 gain also the free access to the Be Comics event and Padua fair building. Players are recommended to preregister in order to avoid to pay the entry fee to the fair building. 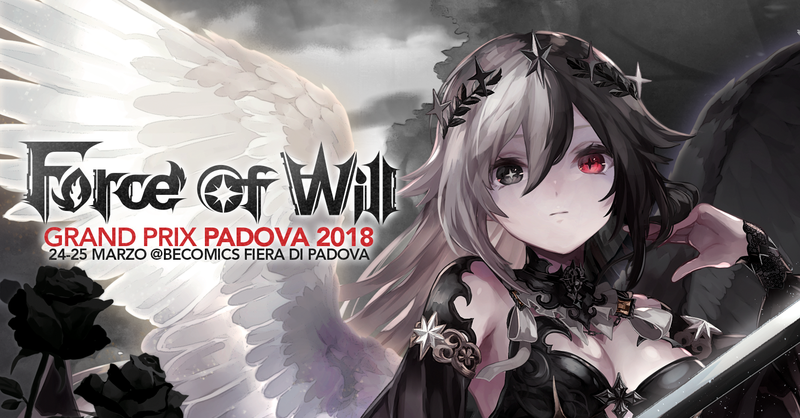 - Standard Registration: 30,00 euro (It features a Participation Promo Foil Extended Art Sol, Envoy of Light, a Participation Promo Foil Extended Art Darkness Magic Stone with Caster artwork, a Participation Promo Foil Extended Art Stone from the Dark Castle, a Force of Will booster pack and a Force of Will Deck Box). 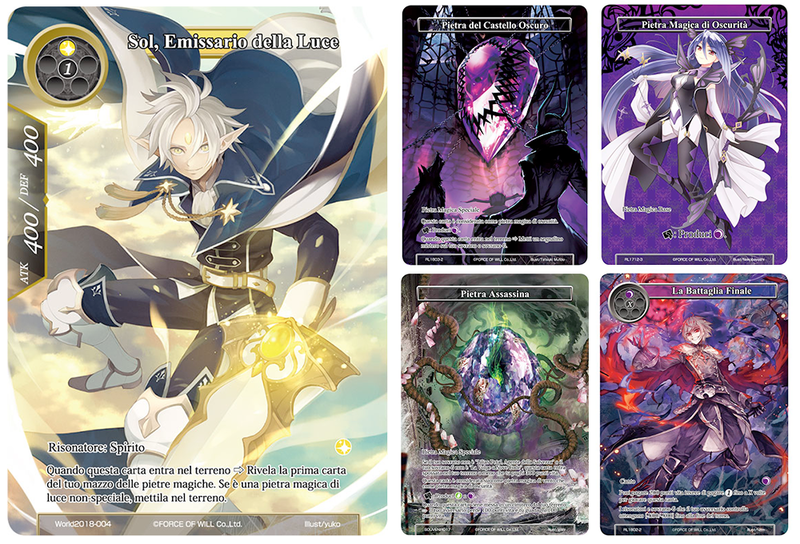 - Premium Silver Registration: 50,00 euro (It features a Participation Promo Foil Extended Art Sol, Envoy of Light, a Participation Promo Foil Extended Art Darkness Magic Stone with Caster artwork, a Participation Promo Foil Extended Art Stone from the Dark Castle, a Participation Promo Foil Extended Art Killing Stone, a Participation Promo Foil Extended Art The Final Battle, a Force of Will booster pack and a Force of Will Deck Box). - Premium Gold Registration: 70,00 euro (It features two copies of a Participation Promo Foil Extended Art Sol, Envoy of Light, two copies of a Participation Promo Foil Extended Art Darkness Magic Stone with Caster artwork, two copies of a Participation Promo Foil Extended Art Stone from the Dark Castle, two copies of a Participation Promo Foil Extended Art Killing Stone, two copies of a Participation Promo Foil Extended Art The Final Battle, a Participation Promo Foil Extended Art Little Red, Fairy Tale of Air, a Force of Will booster pack and a Force of Will Deck Box). 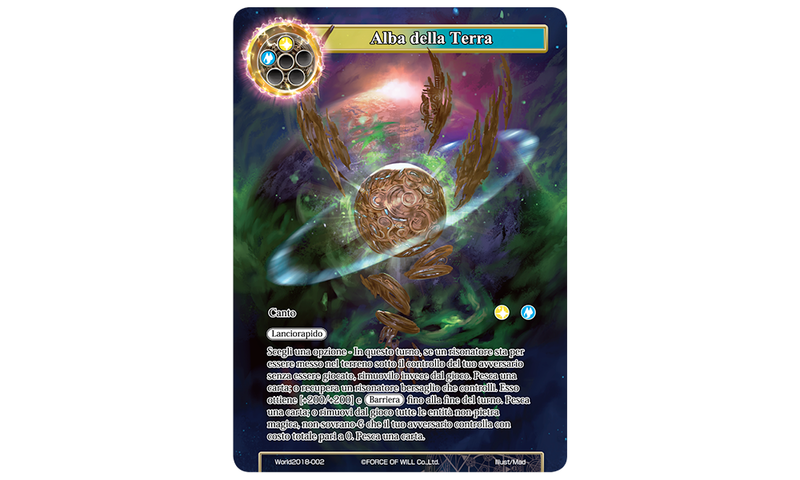 *In the event of changes to the Banned List of New Frontiers, said changes will applied as long as they happen with a fair advance of Grand Prix date. Day 1 (Saturday 24th March): There are 6 or 7 Swiss Rounds during Day 1. After these Swiss Rounds, only the top 64 players in general standings will advance to Day 2. Day 2 (Sunday 25th March): Player Briefing and Tournament Start: 9:30 a.m. Only the top 64 players in Day 1 general standings advance to Day 2. 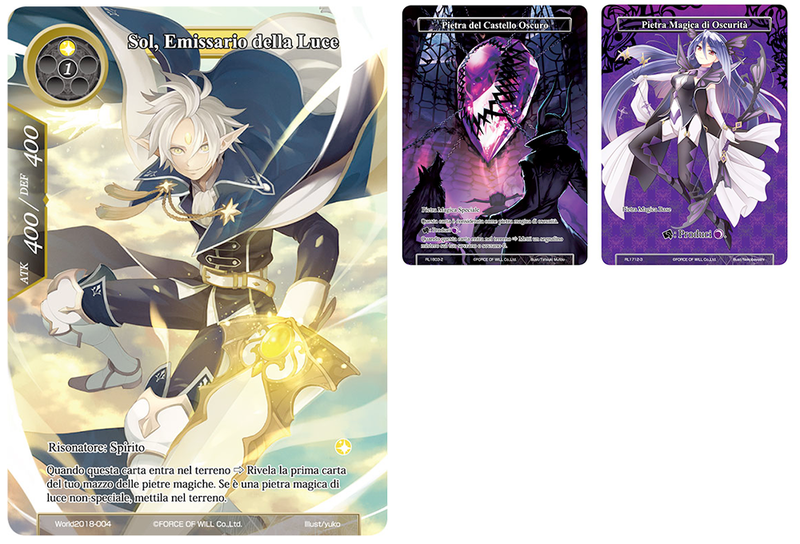 TOP 64: TOP 64 players receive a Promo Foil Extended Art/Alternate Art Dawn of the Earth. 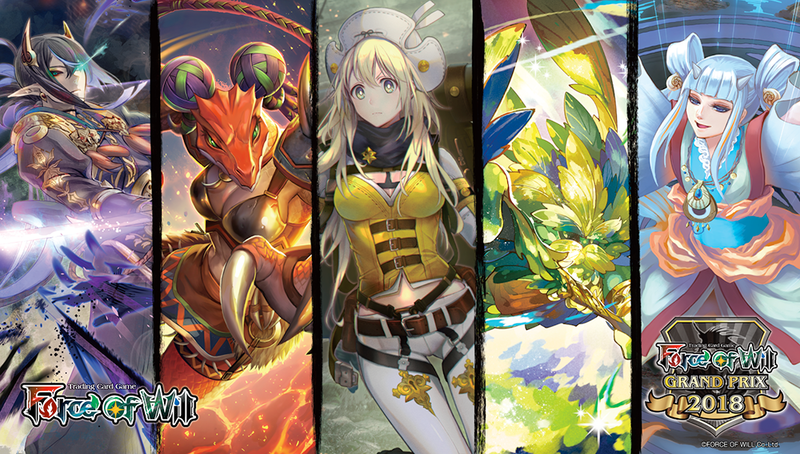 An overall prize amount equal to 1 booster pack multiplied by the number of participants will be divided among the top 64 players. TOP 8: TOP8 players will receive each one a Special Golden Super-Esclusive Card Kirik Rerik. The top 3 players will also receive a Special Metal Super-Esclusive Card Kirik Rerik.